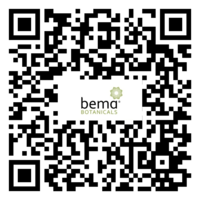 Welcome to Bema Botanicals where centuries-old Traditional Chinese Medicine (TCM) meets modern pharmaceutical standards. By taking a measurable, scientific approach to product development and quality control, we ensure that our raw herbs, extract granules, prescriptions, and supplements are of the highest quality, purity, and efficacy. We stock over 600 TCM extract granules from single species, a variety of blended formulas, and more than 50 non-TCM botanical extracts. Our range of natural health supplements contain premium grade active ingredients, are free of wheat, gluten, yeast, eggs, lactose, preservatives, and are certified kosher and vegetarian. We offer full prescription services, small batches of commonly prescribed compounds, as well as custom compounding and packaging of proprietary formulas for licensed health practitioners.